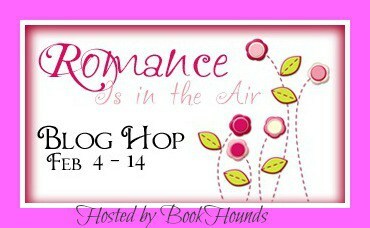 Welcome to our stop on the Romance Is in the Air Blog Hop hosted by Mary at Bookhounds. We're giving away a book of your choice from Amazon ($15 limit). Fill out the Rafflecopter form for your chance to win and browse the linky list below for other blogs participating in the hop. You know, Valentine's Day is not just for romantic partners, but also for good friends!! You and Mckenzie have been the BEST friends EVER, so I'd like to wish you both, as well as your entire family, a most WONDERFUL Valentine's Day, full of joy and love!! What a lovely giveaway! A great time to read some romance. It is snowing here- so cuddling up on the couch is definitely happening today. :) Thanks for the chance to win!